Chapters From My Life: No More Soaking For Now..
No More Soaking For Now..
My First Indibloggers Meet, Finally! 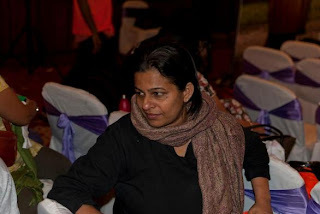 So, finally I made it to the Indibloggers meet on 4thAugust 2012, #SoakNoMore, after being a part of the group for more than two years. Indiblogger has been one of the motivations for me to go ahead with my life and achieve something. I have been touched and inspired by many organizations in my life, my counseling center The Helping Hand, my cancer support group Ladybirds and the bloggers platform Indiblogger, and many more. All of them have helped me to a great extent in making positive changes in my life, though not many of them would actually know that. I am sure when the Indiblogger team started creating the wonderful site for Indian bloggers they had no idea that I even existed. This is something like you keep throwing water at a certain spot, and amazingly a plant sprouts there, using that water for sustenance. Indiblogger kept throwing contests at bloggers, and I used that as a springboard to jump high. Advantage of the being a part of the Indiblogger is, you get attached to your Indirank, therefore do not want it to fall. Fearing the crawlies sent by Renie to watch over us will prompt us to keep blogging. Then there are the amazing contest with wonderful prized raining so often. We love soaking in that rain though. :) I have participated and won few of those contests. Winning the contests on Indiblogger gave me confidence that I can stand out in competitions, make a mark and get noticed for my efforts. It gave boost to the urge to achieve something in my life. The crowning glory of the all the victories was the Surf Excel ‘Get Smart’ contest where I won an Ipad2 for my entry, this is special because the brand was something my mom insisted I should use, and the prize was received on the day of my mom’s death anniversary. It was like she was patting my back for my achievements. I was trying to get in touch with Bangalore bloggers so that we could meet, when Indiblogger went ahead and announced the bloggers meet #soaknomore in The Capitol. Wow! I could attend the bloggers meet with my family, that meant I did not have to worry about leaving Farheena behind in someone’s care. So, filled with excitement I started making plans of meeting those people of Indiblogger team who have made a huge difference to my life, and fellow bloggers who have been a huge support for me always. When I logged on to the forum, I saw that one of the youngest and famous blogger among us was looking for someone to tag her along to the meet. Pooja Pradeep or Princess Poo is Farheena’s age, I knew they would be friends in time; hence I tried getting in touch with her, so that I could take her along with me for the Indiblogger meet. That meant Rayyan had to go by himself, which was good as he is an independent indiblogger and was not coming over as my family. 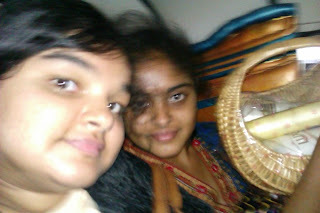 After some time issue etc, we did meet and took an auto from my home. The Hotel Capitol is an amazing place to hold meets. The interiors are eye catching. When we finally entered the hall, we were greeted by a beautiful smiling Nandita, who asked us to log in our names. It was nice of her to remember not only me, but also Farheena, which made us feel more than ever welcome to the event. Thank you Nandita. We got cozy in the seats, when bloggers started trickling in. I met some of the wonderful bloggers, who, I have been interacting on indibloggers for a long time now, without ever meeting them. The special moment of the event was when the Vineet Rajan and Shruti brought me special regards from Zephyr Nag, a blogger I have very high respect for. There were other good moments like the Indiblogger team introducing me to Mr.Girish, the surf excel representative, as the winner of their contest, personally thanking Renie, Vineet, Anoop and Karthik for the amazing support they have shown so far on Indiblogger, meeting two inspirational blogger Raghava and Dr.Timepass who I had not known before the event, and many more. I am going to dedicate a blog for the two bloggers I have called inspiring, because I cannot say anything about them in few words. There were prizes galore in the form of bean bags, gift hampers, and even DVD players and that too nearly 30 in numbers. Wow! In addition there was excellent high tea with snacks served. The introduction of the bloggers was interesting to me, as I could know what they blog about. Anoop, who gave an amazing presentation, jumped up on the bloggers in between the introduction with some great blog related trivia questions, with some more hampers given away for right answers. I got a gift hamper and 6 months surf excel supply, thanks to Leo Vinay who shouted at the top of the voice to give out an correct answer for the question by Anoop and we all who shared his row, shouted along with him. There was a game organized by Anoop, and winners got T-shirts and Samsung DVD players. Being divided by my excitement to participate and being with Farheena who was sitting alone, I had a tough time making decisions. Anyway our team had to give away T shirts, after losing a round; as no one was coming forward I gave away mine and joined my daughter.Before that I got my chance of trying to throw the ball into the bucket which I missed. I couldn't watch much of the games going on, as Farheena refused to get up from her seat. I could hear a lot of excitement and fun going on there. We had a presentation from Surf Excel about their product soak no more. Everyone had the bean bags, dvd players on their mind, therefore no one paid much attention to what was being said. The guy could even get away with saying that washing machines were the best invention of science. Really?? ?This is an age when man has landed on moon, artificial heart is beating in our chests, test tube babies are being produced and washing machines are the best invention? I don’t agree with that, for I have lived my life without a washing machine for 43 years and it did not make much difference. There was a question about what are the vibrating molecules, and I swear I don’t ever want to hear that question again. So many different answers were given and nothing made sense. Though, one of the answers made enough sense to Girish to award the DVD player to the girl, amidst protests from few participants. I still have no clue what the vibrating molecules are. It was sad to see that some of the bloggers said NO when Anoop asked them whether they were happy with the event. The reason that they gave was--> they did not get the bean bag, dvd players etc. I think that is pathetic. There is so much more to share and so many stories to tell, but I know people get bored with lengthy posts. Coming back in Auto with Pooja Pradeep aka Princess Poo. Trying to capture her and Farheena in a moving auto. The event was a great according to me and my family, and above all meeting bloggers who I have been reading for a long time like, Gyanban, Bemoneyware, Santosh Bangar, The fool, Leo, Nabanita, to name just a few was great experience. 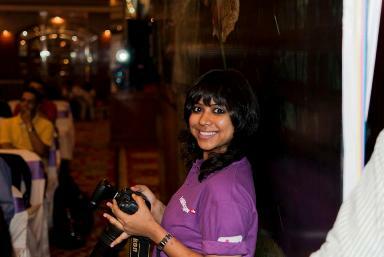 The youngsters like Pooja and Harsha Chittar were rocking through the event. Farheena was extremely excited and happy throughout the function. She did not complain of being bored even once though I had left her alone for a while. Thank you my child. She made a sad puppy face that I did not win T shirt for her, which moved Vinay and Harsha (? ), or some other blogger which I cannot recall, to give her two T shirts. LOL. No more soaking, dry skin, dirty hands, unclean hair or bad odor for me, for another 6 months as I have come home with hampers from surf excel and Indiblogger. Great to see you had a good time, Farida. Bless you! It would be great if you and Vidur would have joined us. Sounds like you had a great time :) Hope Indiblogger holds a similar meet in Pune too..
Nice write up :) And your talks were inspiring! Pushing me to blog more often. Oh really I missed it..Now I dont know when such a bloggers meet will be coming to bangalore..
Wow seems like you guys had fun. It was great that you people came all the way from Chennai for the meet. A nice brief about the meet which has all the spice and truth :). It was really a good meet. I have attended last one as well which was bit boring than this one. And I feel that peoples' reply for how was the meet, was just for fun. I think all of us have enjoyed there. I think gifts was mere a part of the meet. Nice meeting you Farida at Bloggers' meet. In many people's dictionary "satisfaction" word doesn't exist . At least the indiblogger pushes me to blog when I am feeling lazy.. or else their crawlies will pull my rank down LOL. We should plan and meet sometime. one of my dreams,,,it would be wonderful to meet the bloggers in person. I am coming to this blog second time to read once again about this event remembrance, I forgot to add comment here when I visited this page earlier. You should attend the bloggers meet. It is very exciting and great experience. Let us hope to meet at the next one. And the meet really was fun! With all the Surf Excel freebies and everything! Yeah, it was great. Welcome to my blogworld. It was nice meeting you and your family in person. 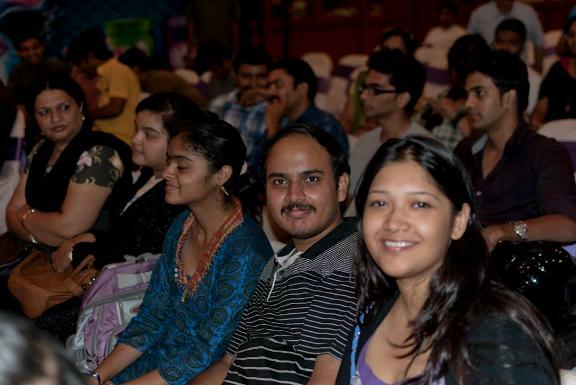 Thank you for providing an inside of the Indiblogger meet. I would love to go there one day meet the team. Seems like a lot of fun. And it was my pleasure to meet a young beautiful lady from our blog world. Thanks Farida for visiting my blog . Let me confess that in the blogger meet I was lost in a sea of new faces, this being my first meet . I have visited your blog and indeed fascinated by the way you write and the grit and determination . My mother is also a cancer survivor having undergone masectomy and I know what pains and trauma one undergoes. The only way to get comments is to build a rapport with fellow bloggers or to have extremely interesting blog. This is what all the blog gurus say. LOL. When you are new, it always takes time to get established but you will with your talent. Very interesting memoirs of the meet. Unfortunately for me it always remained elusive. Save The Child ... You can help too..